The event is an Open Fun Fly for Vintage qualified fixed wing RC aircraft. Flying starts Saturday from 9:00 am to 4:00 pm. There will be no organized contests, however there will be pilots choice awards for best Scale, Dave Platt design (Vintage plane of the year), and overall Pilots favorite. Pilots must have current AMA membership card. 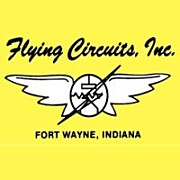 Pilots Registration: $15 Donation ($10.00 with Vintage RC Society Membership).